This entry was posted in Beverage and tagged beverage, drink, food photography, Food Styling, Food Stylist, glass, juice, lebanese food blogger, lemon, Maya Oryan, Mayas Ingredients, passiflora, passion fruit lemonade. 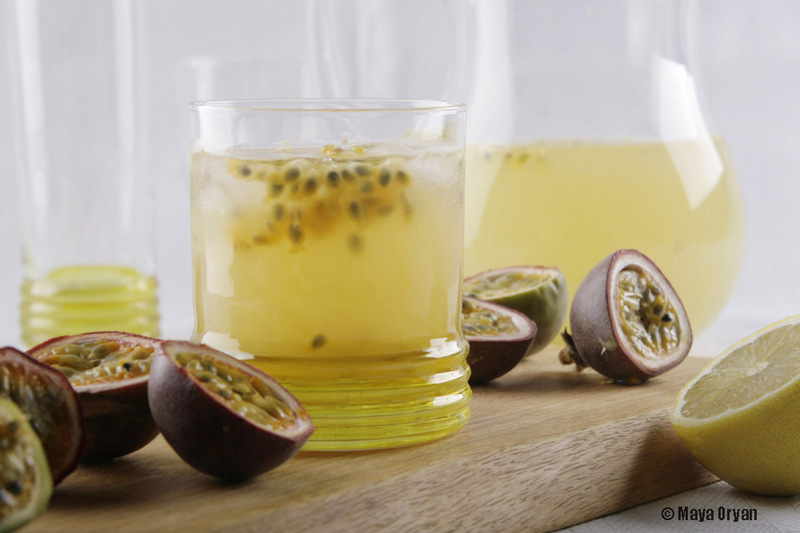 lemonade, Passionfruit, refreshing, syrup by Maya Oryan. Bookmark the permalink. Oh yeah! way to go darling! What a lovely combination!!! I’ll have to do this for my next pool party! This sounds great. I’m looking forward to trying it. So refreshing and the smell of the passion fruit is irresistible! I love this recipe! It’s my favourite drink, actually – but I do it with sparking water. Does it work with more passion fruit and less sugar do you think?